All soils have a pH reading. pH is the degree of acidity of your soil and can range from 0 to 14. Here at Green Lawn we like to see soils right around 7.0 which is neutral. 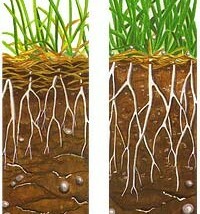 Soils below 7.0 become more acidic due to both human and natural activities. Here in the Northeastern United States, rainfall removes calcium and magnesium and replaces them with acidic ions leaving our soil in the acidic zone on the scale. All soils have a pH level that classifies them as acid, neutral, or alkaline. 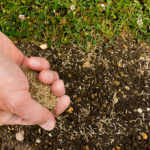 Toxic Soil – The biggest problem is that acidic soils do not give the grass the nutrients it needs to grow favorably. It is important to note that there is 10-fold increase in acidity for every unit on the scale; a 5.6 is 10x more acidic than a 6.6 reading. Therefore, by thinking your low reading of pH is not far off from neutral, you would be wrong. If your reading is 5.5 or lower, you are in danger of having a lawn which is high in aluminum and manganese which can be toxic to turfgrass. Liming improves plant nutrient availability and reduces the toxicity of the soil. Also, soil contains microorganisms that are very beneficial to a healthy lawn. These microorganisms break down fertilizers to allow it to be released into the soil for use by the grass and aid in the decomposition of thatch and grass clippings. Unfortunately these organisms do not thrive in low pH soils; they prefer soil readings between 6.5 – 7.0 in order to be present in sufficient quantities. 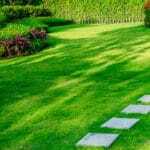 The most important problem with a low pH reading is that your lawn is more susceptible to weeds. 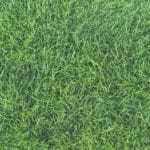 Due to the nutrient deficiencies and lack of microorganisms to break down fertilizer and keep your lawn dense and strong, weeds tend to thrive. 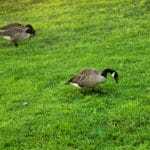 They love acidic soils and use it to their advantage to push through the poor lawn, eventually taking control. Correction & Maintenance – Soil acidity is determined by a simple soil test. Our technicians perform soil tests on each application of our program to ensure that you are at an optimum level. When a low pH is noted, they will leave recommendations on your invoice of how many applications of our granular product is needed to correct and maintain a balanced pH. It is important that these notes are in regard to our commercial product and are not instructions on what should be applied on your own. These numbers are based on our application rate and the quality of our product. YOU SHOULD NEVER GUESS THE AMOUNT OF LIMESTONE NEEDED. Liming products vary in quality and effectiveness. Our pelletized lime is designed to eliminate the white chalky appearance that most lime applications can leave behind. The application can be applied at any time of year.